Saturday, February 23 from 3:00 p.m. until 5:00 p.m. 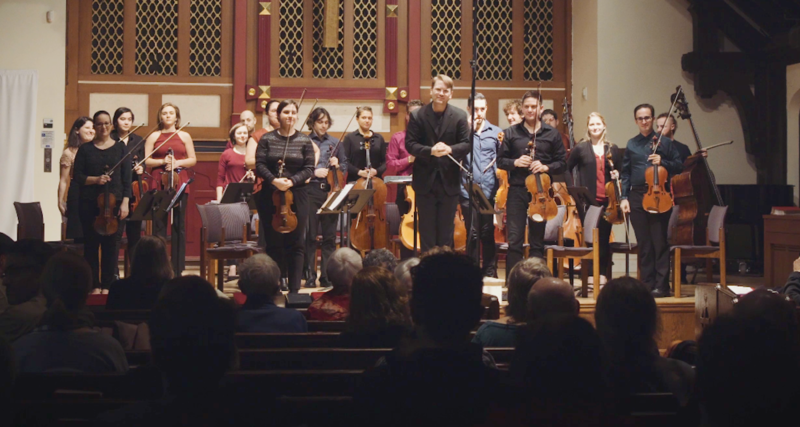 Led by music director Chris Whittaker, the strings of the WHCO come together to perform music inspired by Japan and Japanese American composers. Kenji Bunch’s “Supermaximum” opens the program, a work inspired by the songs of Depression-era chain gangs in the American Deep South. The violinist and composer is a native of Portland, Oregon, and a graduate of the Juilliard School. Next is “Requiem” by Toru Takemitsu, a Japanese composer who was heavily influenced by the classical music of the West. The 1957 piece is from earlier in his career and launched him into prominence after Igor Stravinsky discovered the work. By the end of his life, Takemitsu had become one of the most unique voices and influential composers in both Japanese and Western classical music. Japanese American composer Karen Tanaka’s “Dreamscape” follows – a lush and imaginative work, featuring harp and violin solo. An exceptionally versatile composer and pianist, her works have been performed by distinguished orchestras and ensembles worldwide. The concert concludes with Grammy-nominated Christopher Theofanidis’s “A Thousand Cranes,” named for the Senbazuru legend that states if one crafts one thousand paper cranes, his or her wish will be granted. A former delegate of the US-Japan Foundation’s Leadership Program, Theofanidis’s inspiration for this piece is the story of Sadako Sasaki, a young girl who survived the 1945 nuclear bombing of Hiroshima only to die of leukemia ten years later. Sasaki began making cranes while in the hospital, and her story renewed a culture-wide interest in the practice. In 1958 a statue of Sadako holding a golden crane was unveiled in the Hiroshima Peace Memorial and installed in the Hiroshima Peace Park. 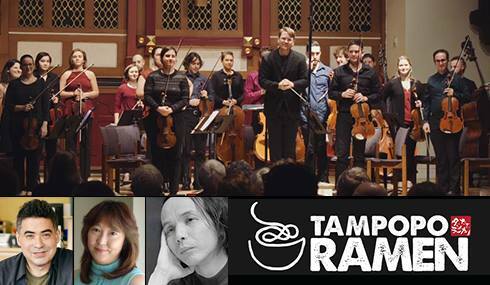 After the concert, Friends of WHCO can enjoy a food and sake tasting courtesy of Tampopo Ramen. The concert will last approximately 90 minutes with an intermission. For more information, please visit WHCO’s website and Facebook page. Please consider making a donation to the nonprofit organization as well.